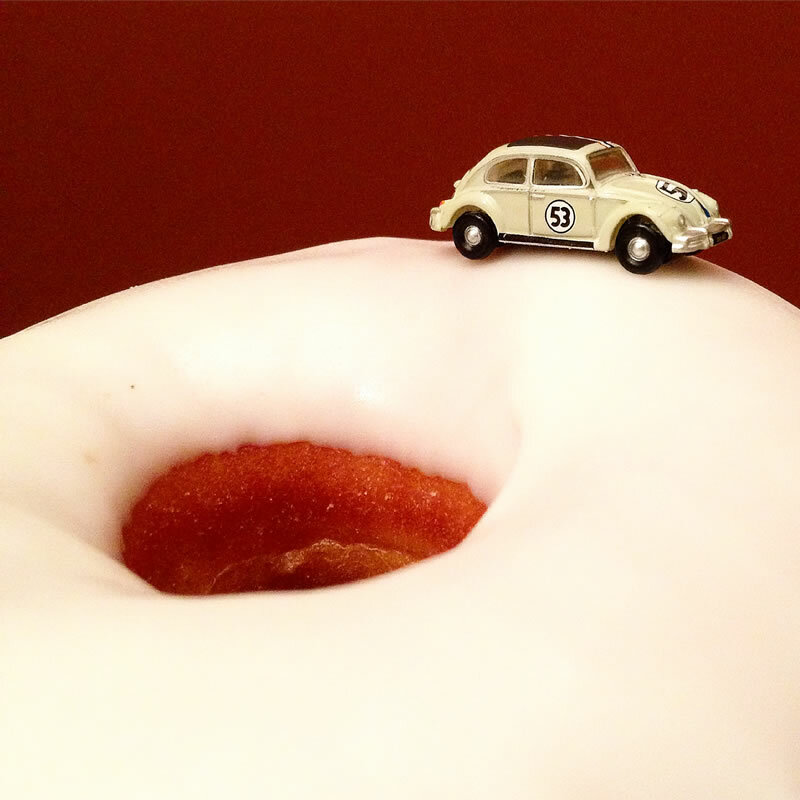 If you haven’t figured it out by now, Dave is a doughnut-hound. 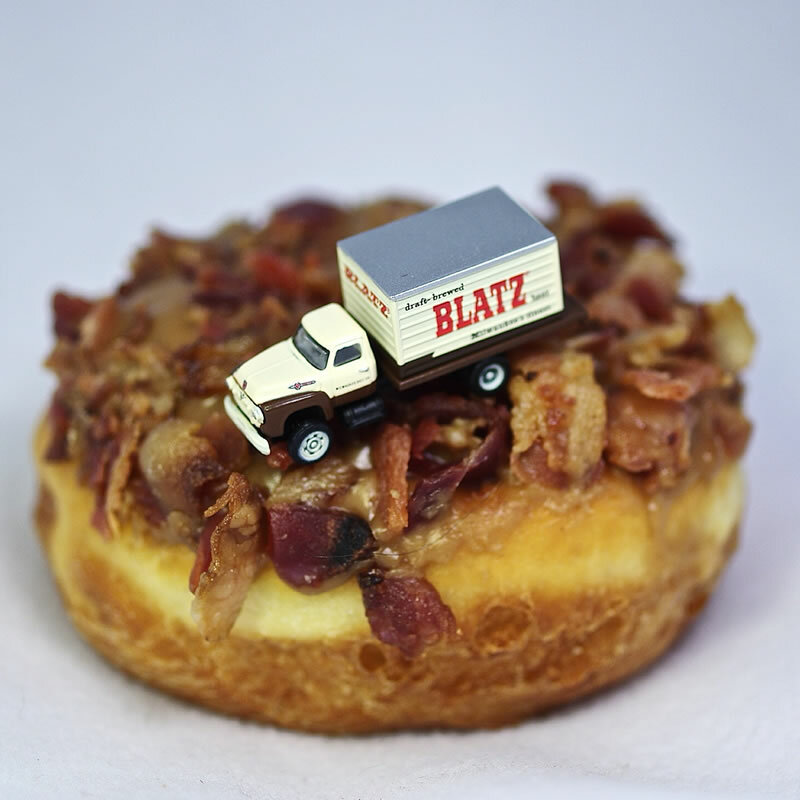 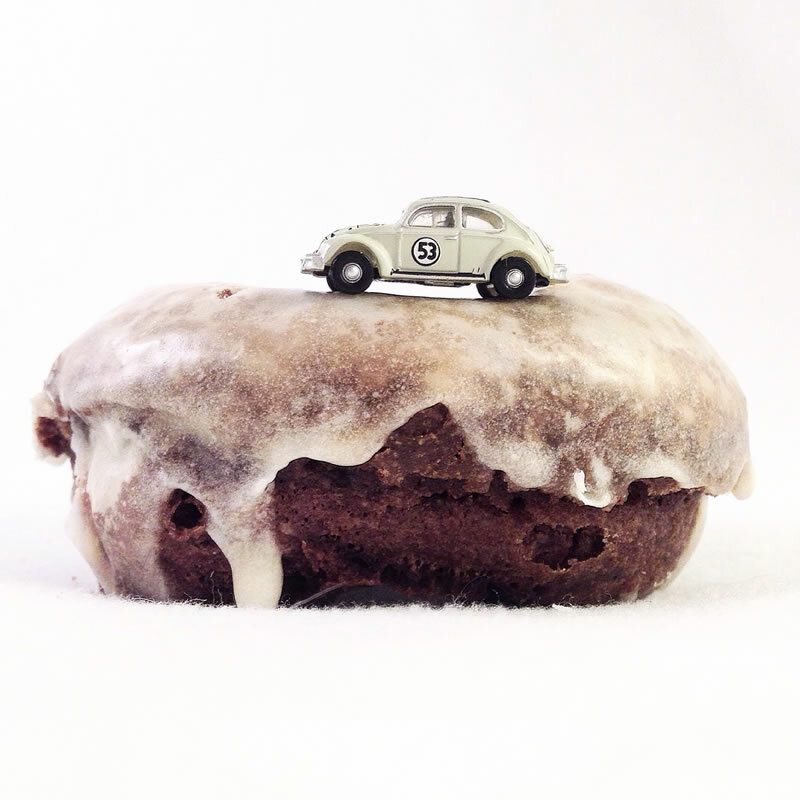 In his travels throughout the United States, Dave has visited over 700 doughnut shops. 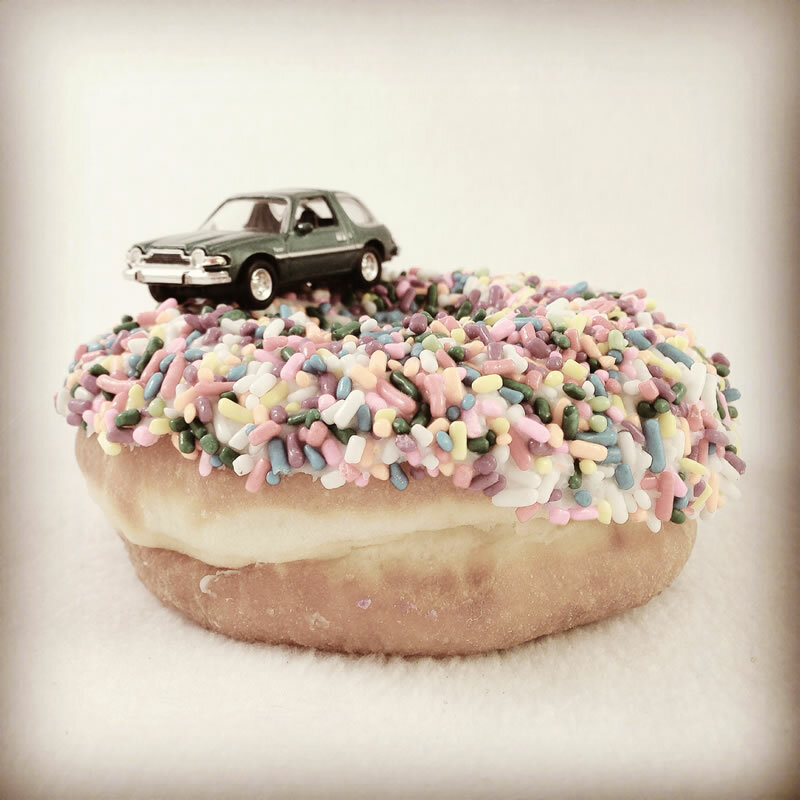 Doughnuts are more than a mild obsession. 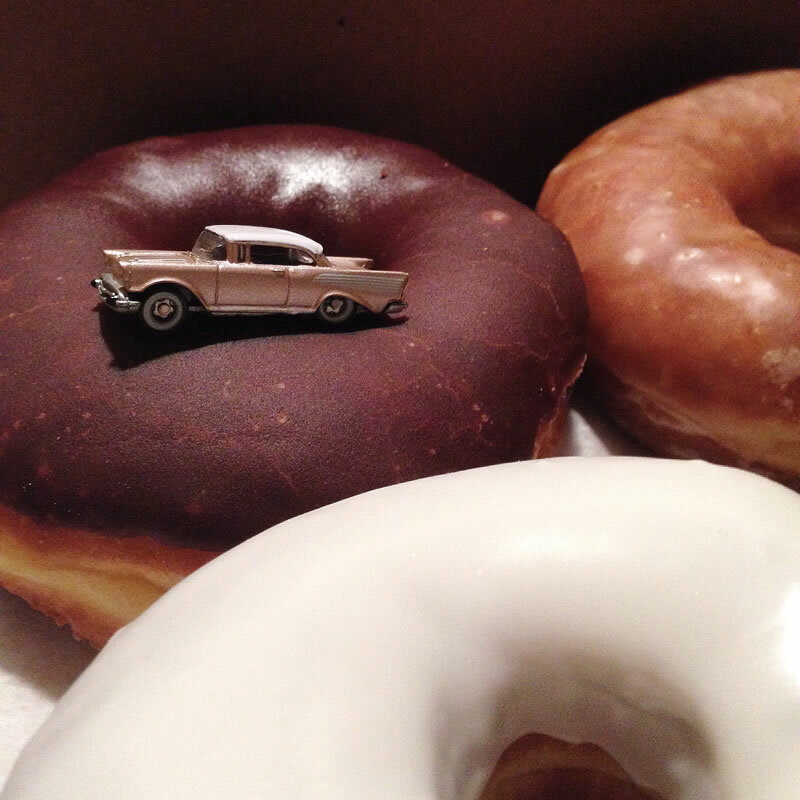 As are classic cars. 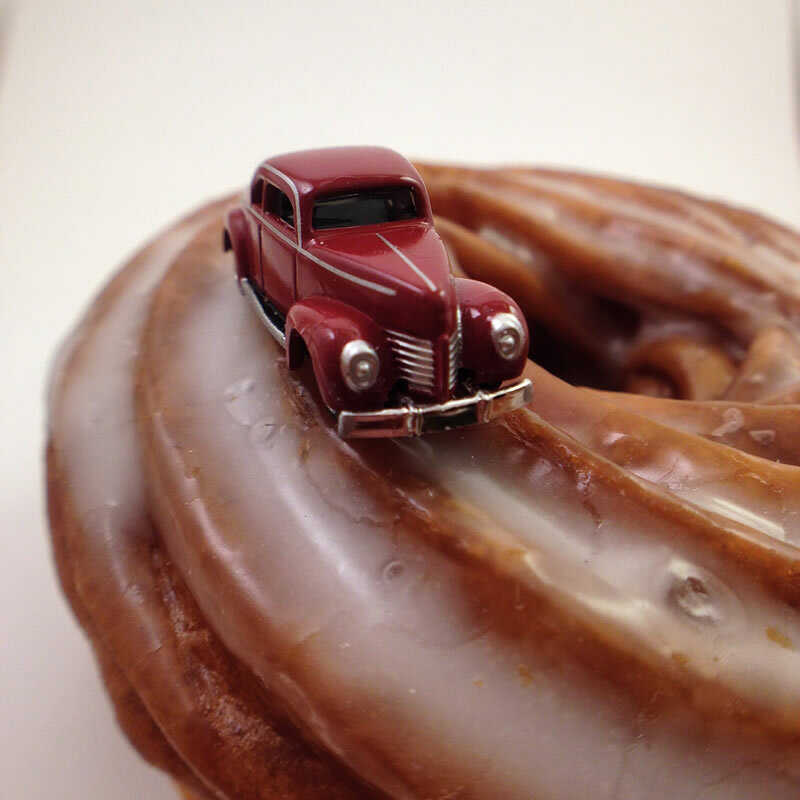 And from these, the proverbial “Doing Donuts” series was born. 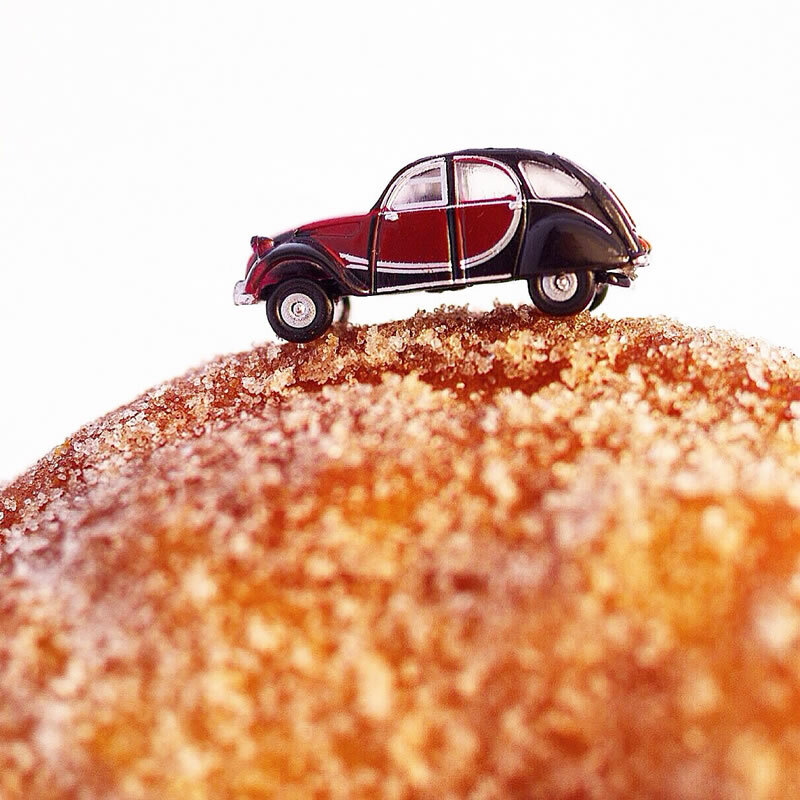 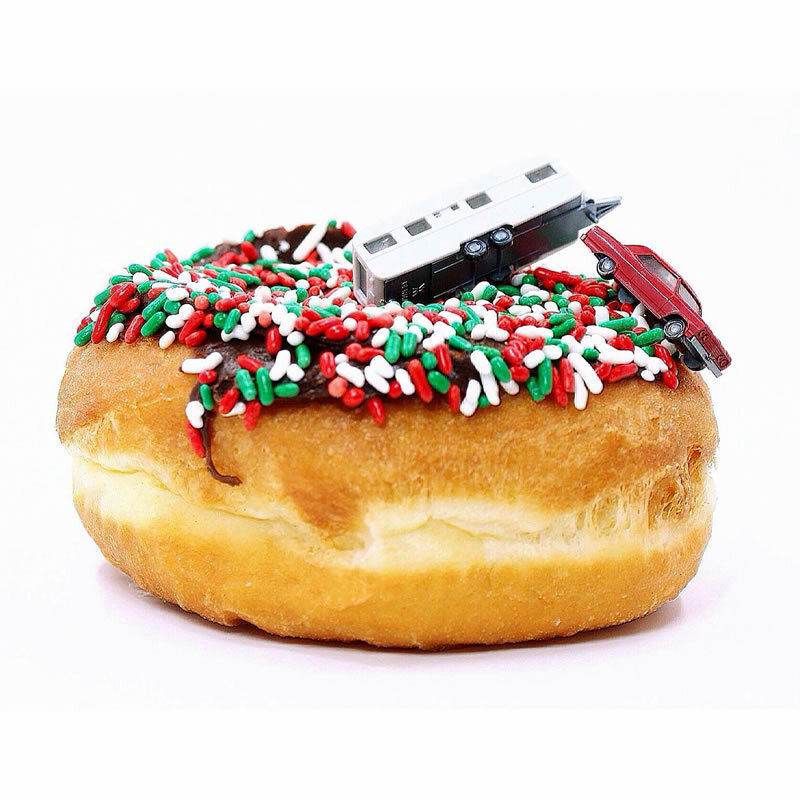 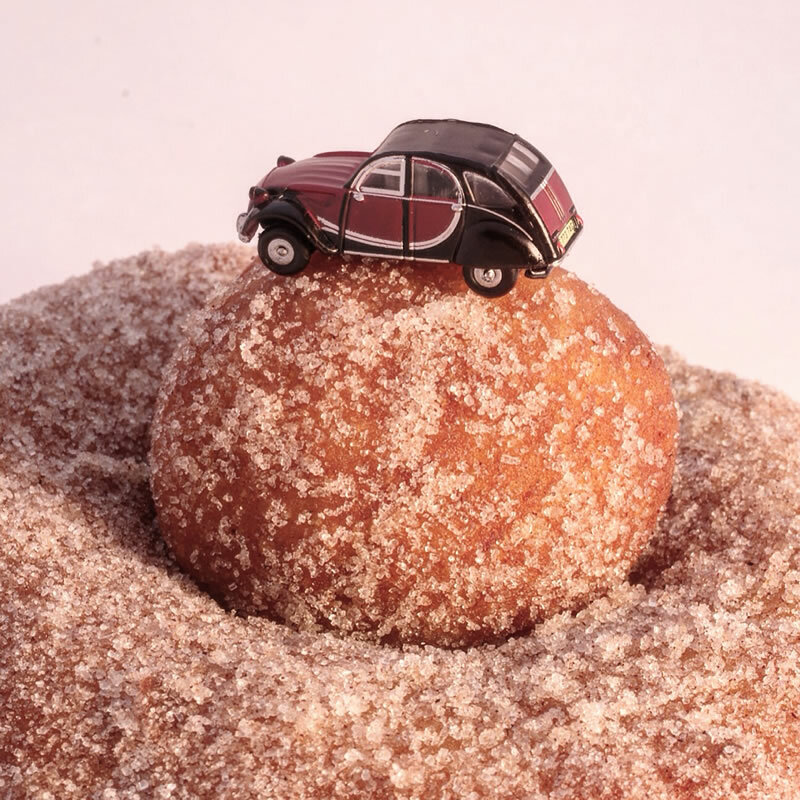 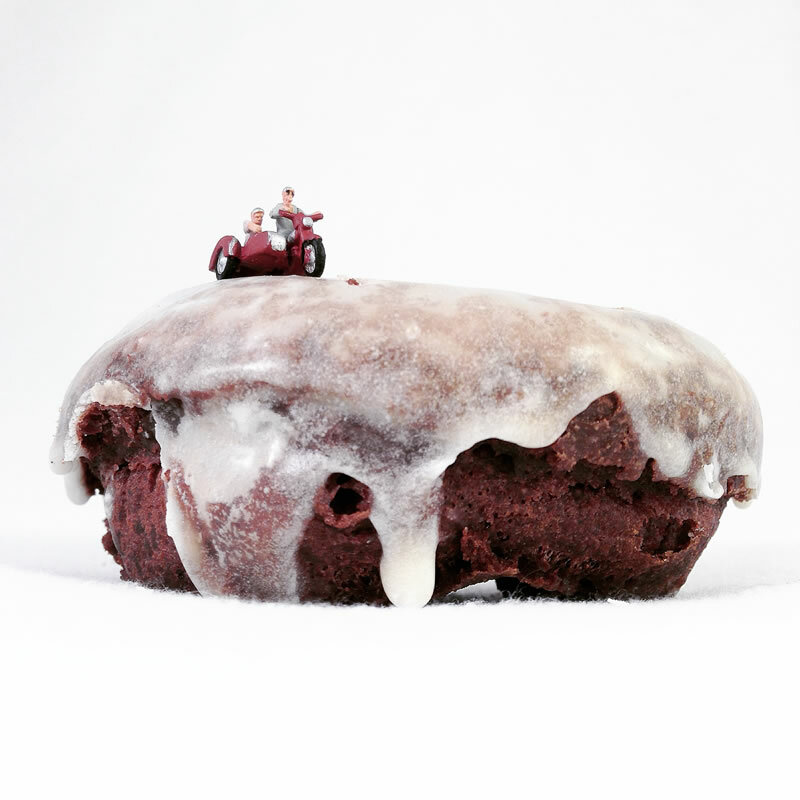 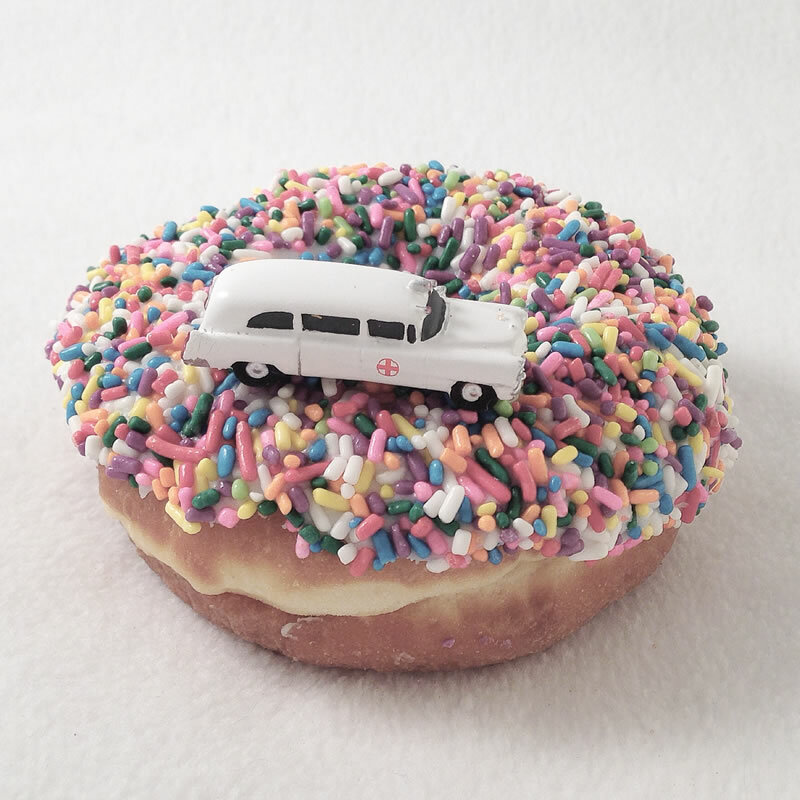 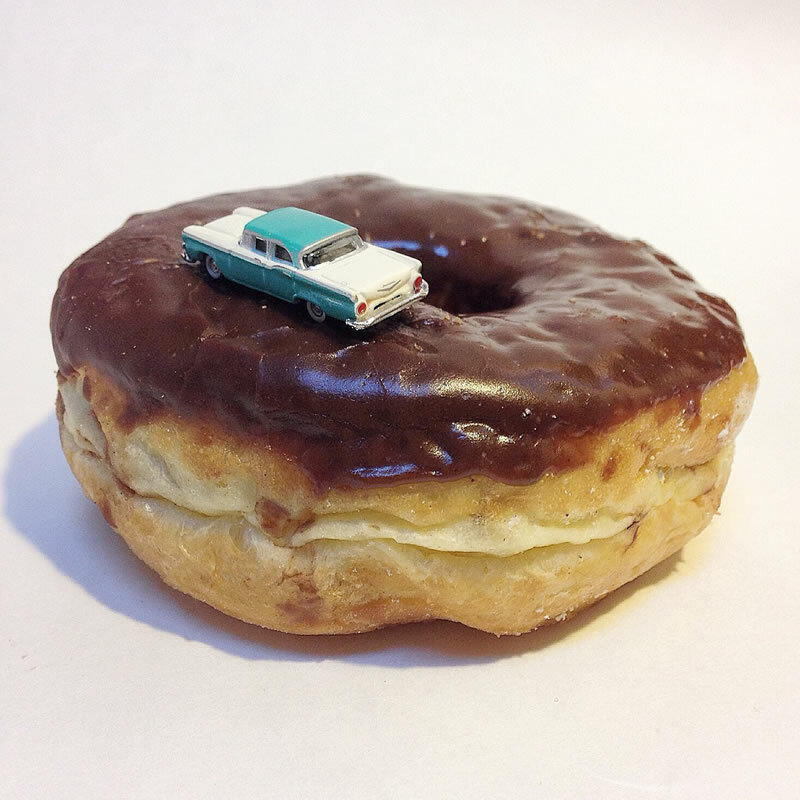 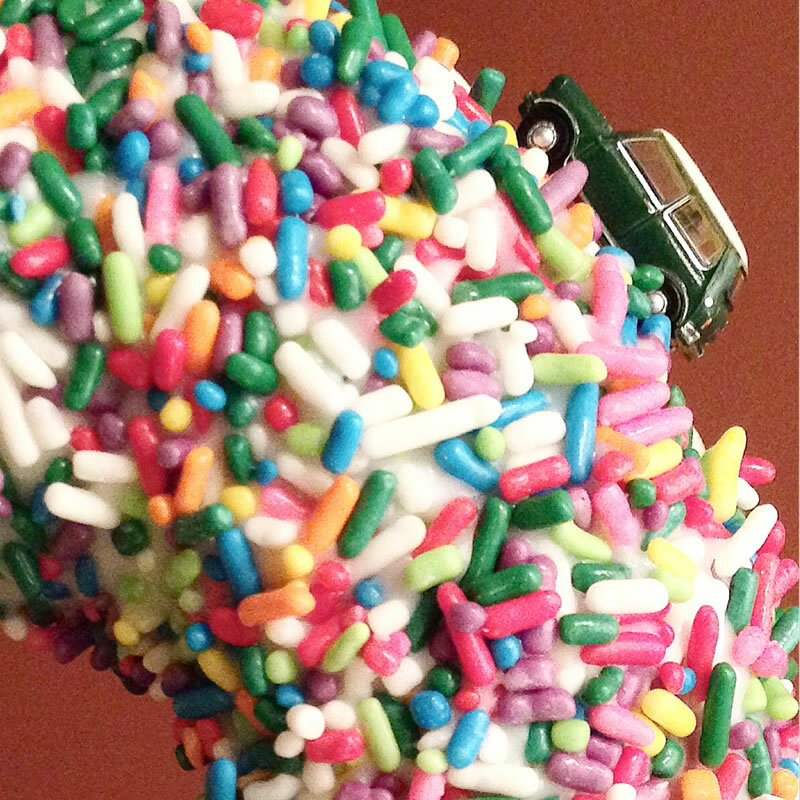 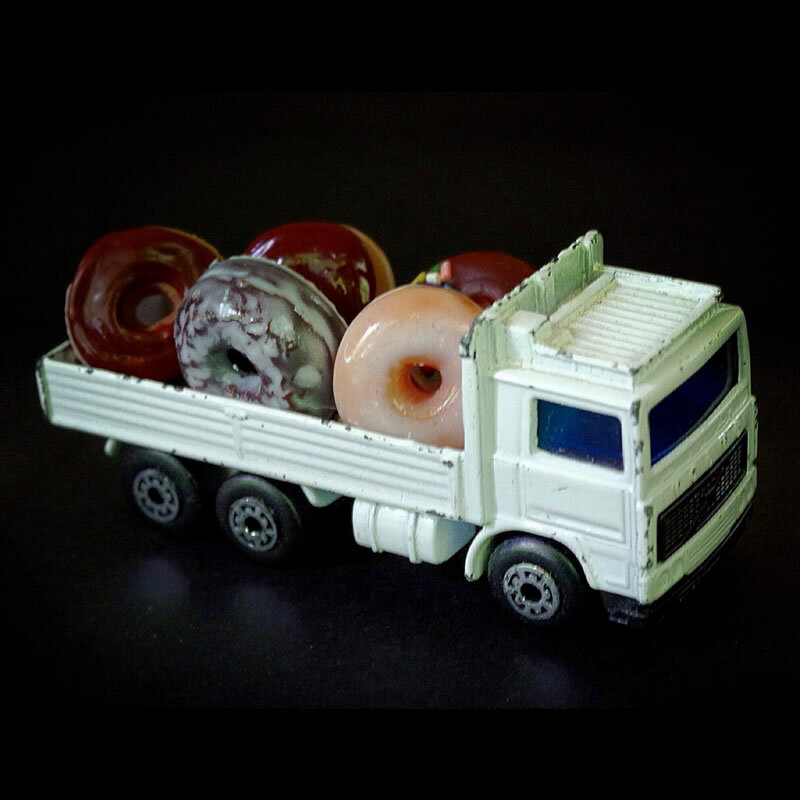 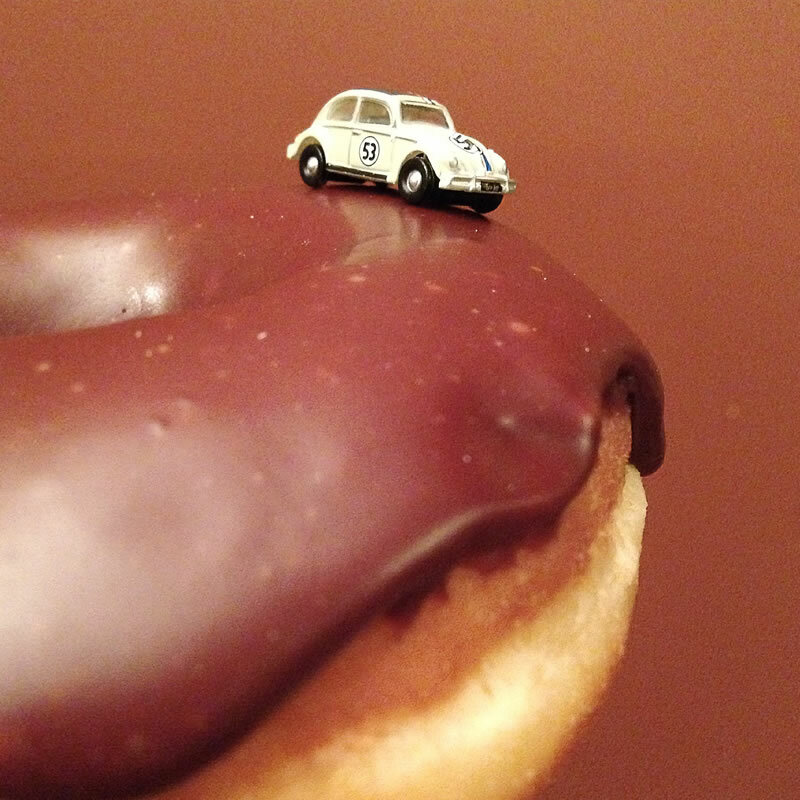 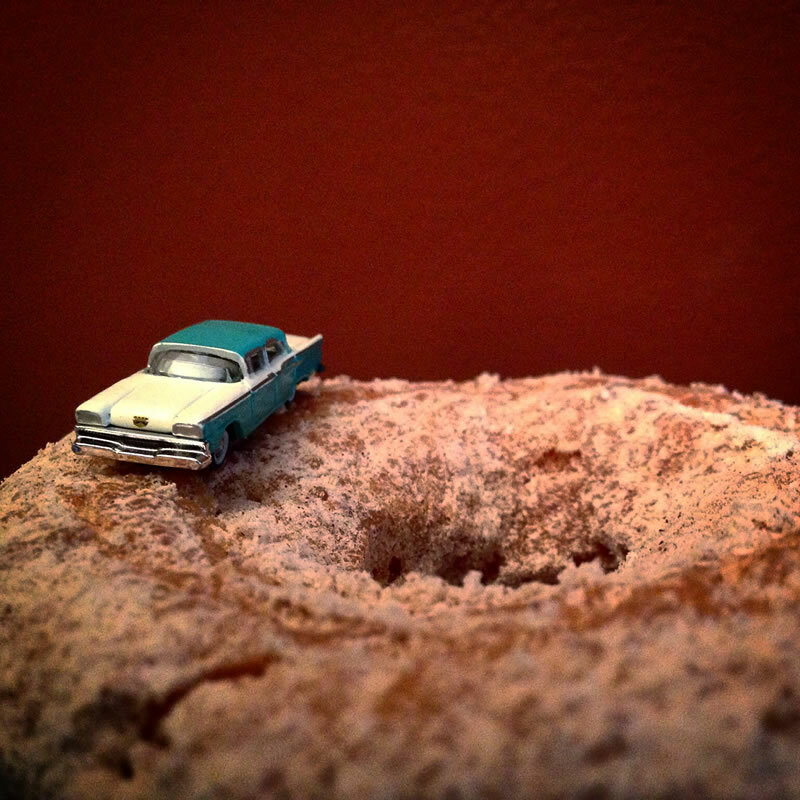 It features n-scale diecast model automobiles doing laps atop…well…donuts. 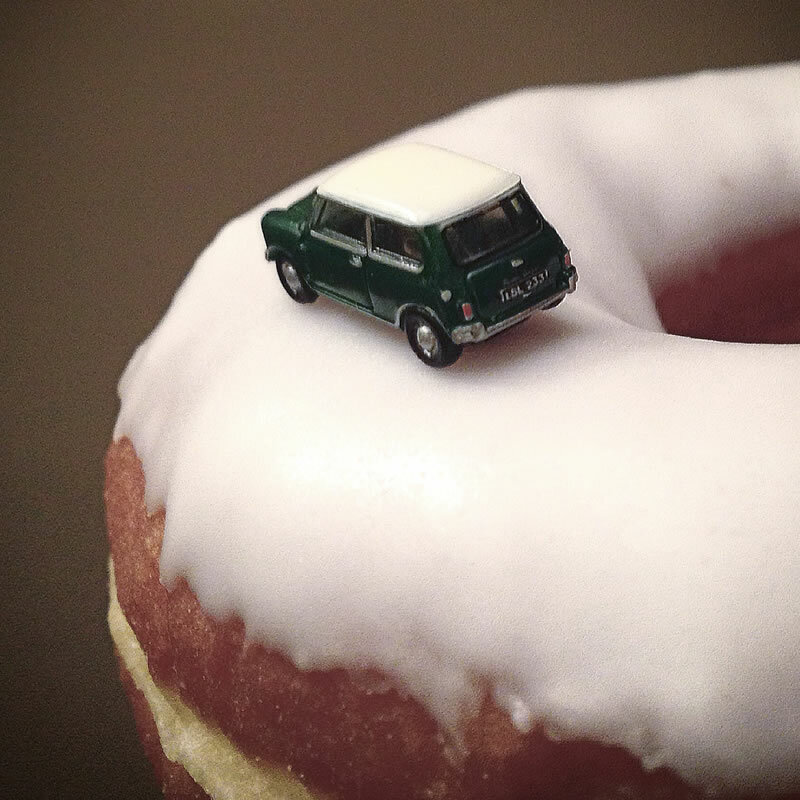 Take spin through, in every sense of the term.